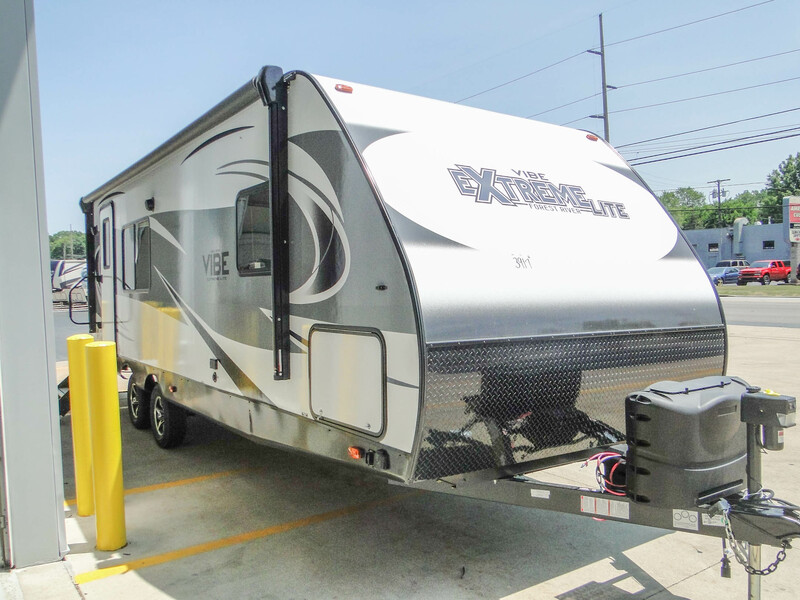 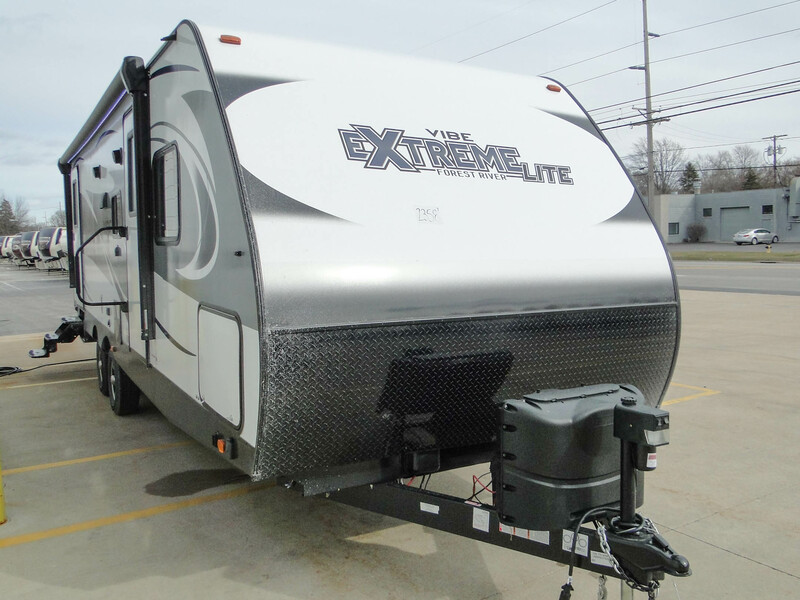 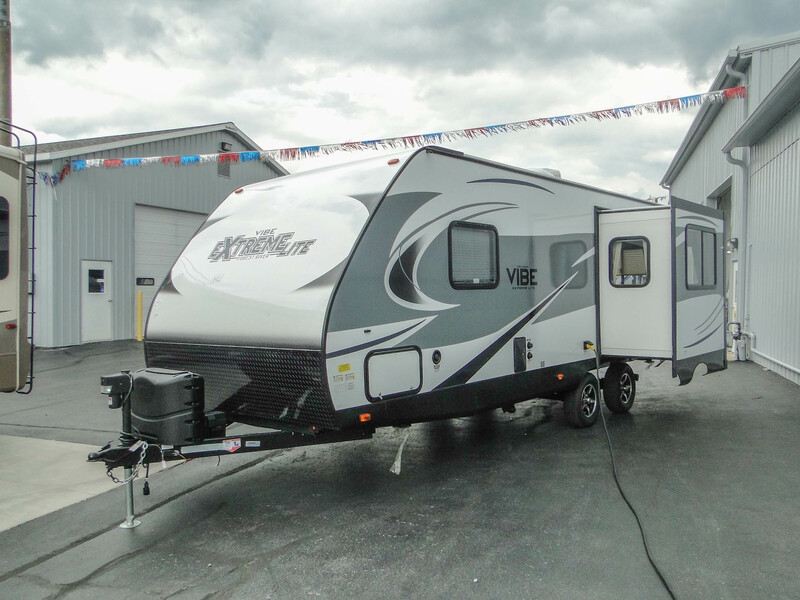 The Vibe Extreme Lite delivers the quality you expect from Forest River in a lightweight travel trailer. 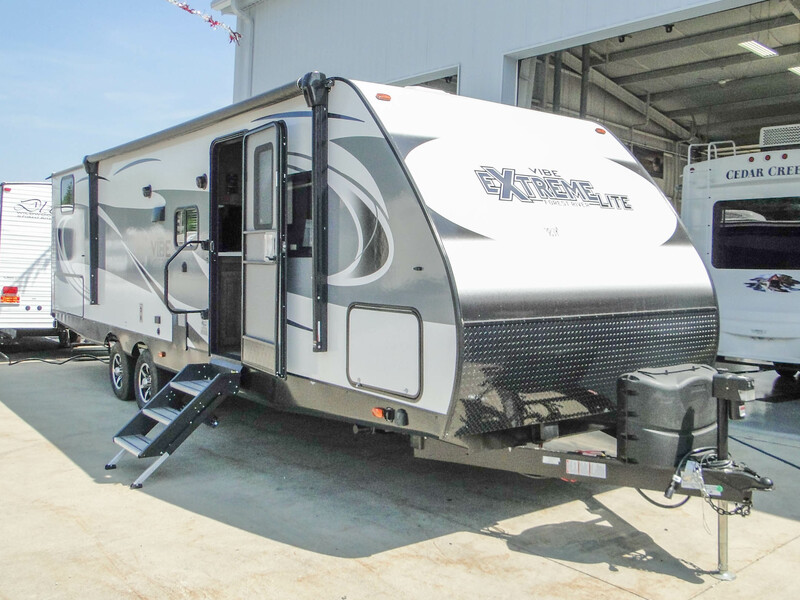 Floor plans start at 4,400 lbs., making it incredibly easy-to-tow. 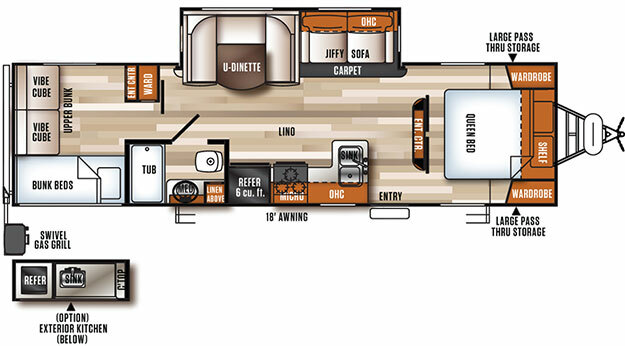 Enjoy a variety of features and finishes such as stainless-steel appliances, flat-screen TVs and LED lighting.